Daniel Hulme is a Labor Party member in the seat of Franklin in the Tasmanian House of Assembly. He was elected in February 2009 on a countback to fill the seat of Paula Wreidt following her resignation from parliament. A biographical note states that Hulme "graduated with a Bachelor of Computing with Honours from the University of Tasmania in 2001 and a Master of Business Administration in 2008. In 2002 and 2003, Daniel served as President of the University of Tasmania Student Association, representing the Launceston campus and North-West Centre (now Cradle Coast Campus)." Hulme contested the 2006 Tasmanian state election but received only 620 votes. "Certainly it's going to be a big challenge between now and the next election to establish myself and prove to people that I can be an effective representative for them," he said. In his inaugural speech he praised former Tasmanian Premier Paul Lennon for "his leadership in supporting economic development through value-adding projects like the pulp mill, and the passion with which he led Tasmania to be the first and only State in Australia to provide compensation to the stolen generations were just two of his many tremendous contributions." In particular, Hulme singled out the logging industry as having his support. "I will be in this place fighting for the timber workers of the Huon Valley, their families and communities, and for their right to ongoing employment in an industry that has supported generations of families in Geeveston and Huonville ... With the onset of the global financial crisis, there has never been a more important time than now to take action to protect jobs. Many of those jobs that we need to protect are in our hard-working forest industries." "If there is one thing that I would like to achieve in this Parliament it is to step up our efforts to combat the campaigns of misinformation about the environmental impacts of our sustainable industries such as forestry and fisheries and the campaigns of misinformation against value-adding proposals such as the Bell Bay pulp mill. I believe we also need to strengthen deterrents against those who use illegal and dangerous methods to stop forest and forest-processing activities. The right to protest is about the right to make a political point without fear of retribution. It is not about stopping hard-working Tasmanians from going about their lawful business. In a democracy the legitimate means of effective change are by the ballot box and the soapbox, not by stopping Tasmanian workers from earning a lawful living," he said. ↑ "The Parliament of Tasmania from 1856: Daniel Christopher Hulme", February 2009. 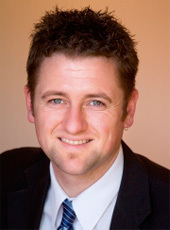 ↑ 2.0 2.1 "Daniel Hulme - Member for Franklin", Australian Labor Party, accessed July 2009. ↑ "Hulme takes Wriedt's seat", ABC News, July 1, 2009. ↑ 4.0 4.1 Daniel Hulme, "Inaugural speech", House of Assembly, March 5, 2009. Daniel Hulme, "Inaugural speech", House of Assembly, March 5, 2009. Michael Stedman, "TCCI puts heat on Hulme", The Mercury, July 03, 2009. This page was last edited on 3 July 2009, at 21:37.